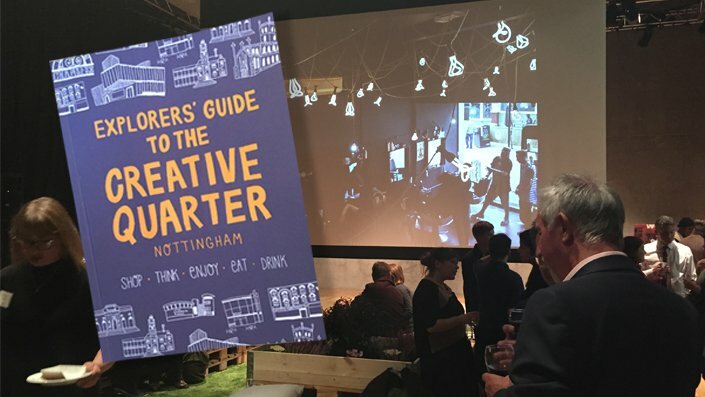 We had a great evening out at the launch of the Explorer’s Guide to the Creative Quarter at Nottingham Contemporary on Monday 12th October. Great food, music, people and the launch of a fantastic little free booklet highlighting the interesting and talented bunch of retailers and artists as well as cafés, restaurants and venues that add to the buzz and energy of the Creative Quarter. Pick up a free guide and introduce yourself to a few hidden gems.